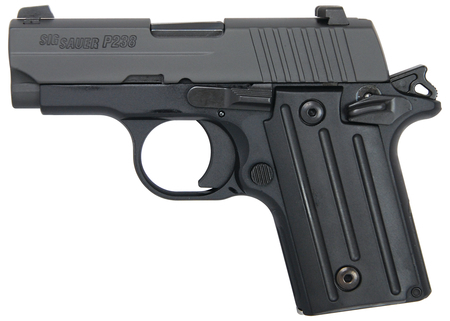 SIG P238 .380ACP 2.7 Inch Barrel Siglite Night Sights Black Nitron Finish Polymer Grips 6 Round. Single action only. Subcompact frame. Built on an anodized alloy beavertail style frame with fluted grips. Stainless steel slide with slide serrations. Removable and wind adjustable Siglite night sights. Ships with a lockable hard case and one six-round magazine.